I am incredibly excited to be part of this years Debut Author Bash hosted by YA Reads. Today I am bringing you the third of my four posts promoting amazing debut authors and their incredible books, along with giveaways giving you the chance to win them! 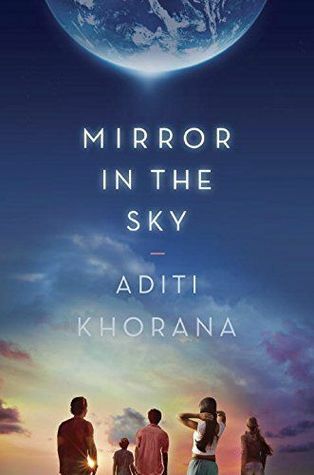 Today I have another very interesting interview for you since I've had the chance to ask the wonderful Aditi Khorana, the author of Mirror in the Sky, a couple of Qs. Check out her As, along with her book and the giveaway below! 1 – Describe Mirror in the Sky with a haiku. 2 – What sparked the first initial idea for Mirror in the Sky? I spent most of 2012-13 working on and querying a manuscript that was very close to my heart, to no avail. A relationship that I had been in for nearly a decade had recently ended, and I moved from my home of six years – a place I loved – to a tiny sublet, putting most of my possessions in storage. I felt pathetic, lost, like a total failure, and I was really questioning all my choices, spending most of my evenings wrapped up in a blanket on my couch, watching Cosmos and crying. Sometime around this period, a friend came over for dinner and told me about Cheryl Strayed's Ghost Ship column. I read it and wondered if there was an alternate universe where all the choices we never made somehow came to fruition, saw the light of day, and as a result, there were other versions of us living lives that were fuller and richer because of tiny but different decisions. I started jotting ideas down and Mirror in the Sky is what eventually emerged from those musings. 3 – What do you like most and least about your protagonist Tara? I love Tara’s introverted and thoughtful personality, but in many ways, I also think it’s her most challenging characteristic. She’s constantly in her head, observing those around her, even watching herself from a distance. I think this is what makes her a strong narrator, but difficult for the people around her to crack. 4 – What do you think makes Mirror in the Sky stand out? And why do you think people should pick it up? 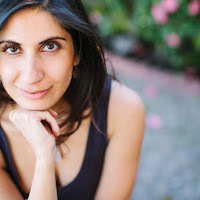 I think the combination of the discovery of an alternate Earth, along with a protagonist who is brown makes MITS a unique story. If you’ve ever contemplated life on other planets, or wondered about the lives that you didn’t choose, or simply felt isolated, alone, separate from those around you, Mirror in The Sky is the book for you. We actually enhanced some of the storylines and trimmed others in the revision process, so I’m pretty happy with the way it turned out in the end. That being said, I’m curious (and a little nervous) to see how readers will respond to the atmospheric tone and the various story threads and how they come together. 6 - How long did it take you from first idea until publishing deal? Out of curiosity, how many queries did you have to send before you found ‘the one’? I was very lucky with the process of finding an agent and publishing house for Mirror in the Sky. I wrote the book very quickly and had a completed manuscript within three and a half months. My first offer of representation came in within 48 hours of querying. By the end of the week, I had several offers from a number of wonderful agents. I chose Jenny Bent, who is fantastic. We revised the manuscript over the course of a couple of months before it was sent to editors, and I signed with Razorbill/Penguin. My editor there is the most amazing editor I could have ever asked for. I’d say from starting the MS to getting a publishing deal, it took a little over six months total. It all happened very quickly - really unusual, and I was extremely fortunate, but it does happen. 7 - How do you feel about the fact that in a couple of weeks, hundreds of people will be able to read your book? 8 – While writing the story did you ever imagine how a cover might look like and what do you think about the absolutely gorgeous final version? I LOVE the final version. We played around with a couple of ideas for covers, but this one truly popped and stood out. I really didn’t think as much about cover design till I noticed how much positive feedback we got for the MITS cover, but now I think about covers all the time! 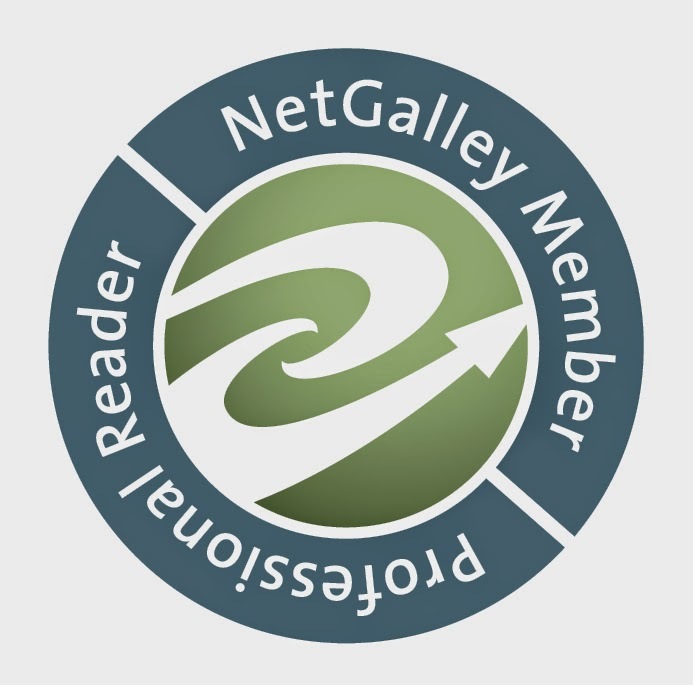 9 – What lead you to writing and wanting to be an author? Is it the way you imagined it would be? It’s better than I imagined it would be. I always wrote, but in my free time, on the weekends or in the evenings. Now I freelance occasionally and spend the bulk of my time writing. I love working from home and imagining new worlds, but mostly, I love working towards my own vision rather than someone else’s, as I did for so many years working in the corporate world. Embrace failure, fear and the Unknown. Embrace the dark parts of you that you typically don’t want brought up the surface and exposed to the light of day. Now channel your fears, your discomfort with the Unknown, and your terror of failure into your work and you might find that your dream is bigger than your fear. That you’ve somehow healed parts of yourself that you didn’t even know were wounded, just by speaking them, writing them, acknowledging them. I’d want to fly. Flying dreams are my favorite. Also, I live in LA – city of constant gridlock – and flying seems like a fantastic alternative to being stuck in traffic. This definitely sounds unique and interesting. Adding it to my tbr now. Thanks for sharing! Adding this to my TBR list now! Thanks for sharing this amazing book! This sounds great. I love sci-fi and real characters. I love sci-fi and this book sounds very interesting! Thanks for sharing!! !